Board index ‹ Peugeot RCZ ‹ Peugeot RCZ Technical Discussion ‹ Wheels, Tyres & Brakes and Suspension ‹ Tyre choice - feedback required. Tyre choice - feedback required. Re: Tyre choice - feedback required. And what about winter tyres? Does anyone have suggestions? Last edited by Nemi on Sun Sep 03, 2017 4:46 pm, edited 1 time in total. I recommend Pirelli for the winter. They are soft and have good comfort. But they wear off rather quickly. The PS4s are great, as are the pilot super sports that are fitted to the 308 GTI. Another option are Bridgestone RE003. I've had a set of them and was impressed with both dry and wet grip. I've had the chance to drive the PSS and PS4s back-to-back on the RCZ R. The PS4s trumps the PSS by miles. While I was test driving the 308 GTI I was unhappy with the comfort of the tyres. I had to lower the pressure (from insane 40 PSI as picked up at the dealer down to 27 PSI). Still those PSS were not perfect. They are good, no doubt about it. At the end I used them for over 20.000 miles on my RCZ R. But I'm sure the PS4s can cure a lot of the "edginess" of the 308 GTI drive. I've never driven a car with the Pilot Sport 4 'S'. I didn't even realise there was an S model of the PS4. I was referring to the PS4 above. The PS4S are definitely worth a look by the sounds of it. Michelin PS4S fitted on the front of my Z. 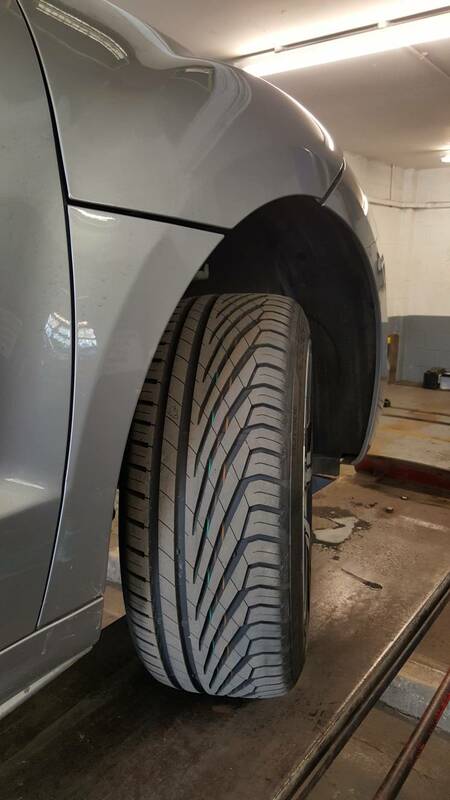 Best tyres I’ve had yet. Pilot Sport 4 is the tyre for 2016. Pilot Sport 4s is the new tyre for 2017.